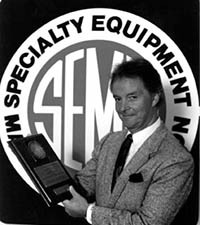 SEMA Hall of Fame - Ray Lipper, 2002, Center Line Wheel Corp..
Ray Lipper, the founder of Center Line Tool Corp., has built a name for himself and his company based on his background as a designer and engineer. 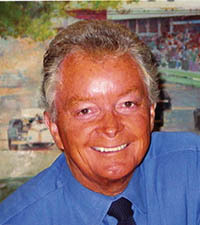 He recognized the need for a stronger wheel in racing, then went to work creating numerous wheels for the industry. Lipper has produced some of the lightest and strongest one-piece wheels in the industry, from his first attempt, known as the Auto Drag, to his development of the technique for using a single blank that can be split and spun into a one-piece wheel. Center Line is credited with being the first wheel manufacturing company to produce a modular aftermarket wheel for Harley-Davidson, and the first to develop and manufacture a wheel using a rotary forging process. Lipper and his engineers at Center Line also developed and produced the wheels for the Spirit of America land speed record car. Lipper has developed his once-small tool company into one of the most recognizable wheel companies in the world.